OPENonline, a leading provider of employment background screening services that is accredited by the NAPBS Background Screening Credentialing Council, will host a second complimentary webinar for HR professionals to update them on the background screening process and how to remain compliant. The second opportunity to attend the HRCI-approved webinar, “Is Your Background Check Process Compliant? (The Changing Landscape of Background Checks),” is on December 4 at 2:00pm EST and will be led by Karen Kontras, Certified Safe Hiring Specialist and Compliance and Quality Assurance Administrator at OPENonline. OPENonline, a leading provider of employment background screening services that is accredited by the NAPBS Background Screening Credentialing Council, will host a second complimentary webinar for HR professionals to update them on the background screening process and how to remain compliant. The first webinar – on November 8th, 2012 – was the highest turnout in OPENonline’s history. The second opportunity to attend the HRCI-approved webinar, “Is Your Background Check Process Compliant? (The Changing Landscape of Background Checks),” is on December 4 at 2:00pm EST and will be led by Karen Kontras, Certified Safe Hiring Specialist and Compliance and Quality Assurance Administrator at OPENonline. 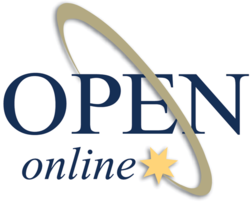 December’s OPENonline webinar addresses the U.S. Equal Employment Opportunity Commission’s (EEOC) updated Enforcement Guidance and how it affects the use of arrest and conviction records in the hiring process. In addition, Kontras discusses the Consumer Financial Protection Bureau (CFPB) -now the enforcing agency for the FCRA - and the many state laws that have changed regarding the use of credit reports and social networking sites. With such monumental changes across the country, it is imperative that companies know how to remain compliant during the background screening process. The webinar – approved for 1 (General) re-certification credit hour toward PHR, SPHR and GPHR re-certification through the HR Certification Institute – is the first in OPENonline’s Continued Compliance Education series. Accredited by the NAPBS® Background Screening Credentialing Council, OPENonline is a leading provider of background screening and investigative solutions. OPENonline offers a broad range of employment screening, drug screening and employment eligibility verification services, including SelectHire®, a one stop solution for employment screening. The company is dedicated to helping customers save time and money by providing background information that is current, accurate and compliant with exceptional customer service. For more information, visit http://www.OPENonline.com or call 1-800-935-6736.